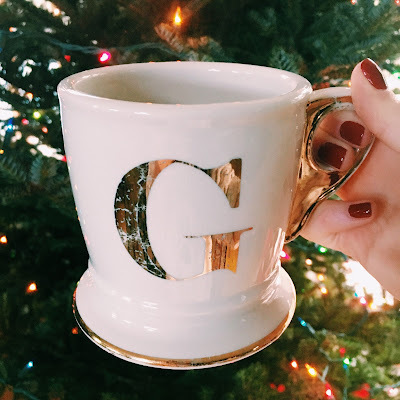 After sharing my holiday gift guides, I thought it would be fun to share what's on my Christmas list this year. I have a hard time making a gift list for people because in all honesty there is nothing I really need, and I feel bad asking for things that are more often than not very frivolous. I could get nothing for Christmas and be perfectly fine! With that being said, I have to remind myself that Christmas gifts aren't always based on need, but instead are about bringing joy and happiness to those receiving them. If a gift happens to be both something someone wants and needs than that's even better! I also think a great gift is an item that a person may admire, but not ever even consider buying for themselves. Christmas is the perfect opportunity to ask for those gifts! Below are some of the gifts that have made it to my twenty-sixteen Christmas list. All things that I don't really need but most certainly things that I wouldn't mind having! You might just even add them to your list this year. Enjoy! Nespresso VertuoLine // I blame Europe for this one. Thank you for turning an already coffee addicted girl into an espresso addict as well. There is just nothing better than a well made cappuccino! And the caffeine kick of espresso just blows coffee out of the water... sorry, coffee. Bric's Luggage // I also give Europe credit for this gift idea. After lugging my suitcase around for thirty days, I quickly came to the realization that it is important to invest in good luggage. Good quality luggage definitely isn't cheap, but it is worth it if you are traveling often or for lengthy trips. Trust me you definitely need four rotating wheels and a functioning pull-handle... it's non-negotiable. Garment Steamer // Okay so this gift may fall more into the 'need' category when compared to the others. I can speak from my retail experience that a steamer works ten times better and is ten times easier to use than a traditional iron. A steamer has been something I've wanted for a while but just haven't gotten around to getting, so I thought why not ask for it for Christmas! Yoga Mat // Surprisingly I don't have a yoga mat of my own, and I think it is something everyone should own whether or not you practice yoga every day or once a month. I don't frequent yoga and pilates as much as I would like to, but I am hoping the addition of a yoga mat can help change that! With 2017 right around the corner it is a great time to start thinking of goals for the new year, and I for one know that I want to start incorporating more yoga and pilates into my fitness routine. Makeup Brushes // I must admit, I am bad when it comes to taking care of my makeup brushes. I think I started using bareMinerals when I was a senior in high school, which was about seven years ago, and I have yet to replace my makeup brushes. Yikes. Good makeup brushes aren't the cheapest but they are an essential part of your makeup routine, and thus worth the investment and also worth taking good care of. I am a big fan of this one, this one, and this one! J.Crew Chateau Parka // A nice winter coat is a wardrobe essential, especially living in the Northeast. I am loving this coat and all it's little details. The fur hood is super chic, and the gold buttons and zipper add a nice glam touch. I am loving the black, but the emerald is also super fun and adds a pop of color in the dreary winter months. Braving the cold winter elements is a little bit easier in cute outerwear! Origins Night-a-Mins Moisturizer // This will probably forever be on my Christmas list because it is my favorite night cream out there. Smells great, feels even better, and works like a charm. What more could you ask for!? Hope you all enjoyed hearing about what's on my wishlist this year! What are you all hoping to see under the tree this Christmas? I'd love to hear!